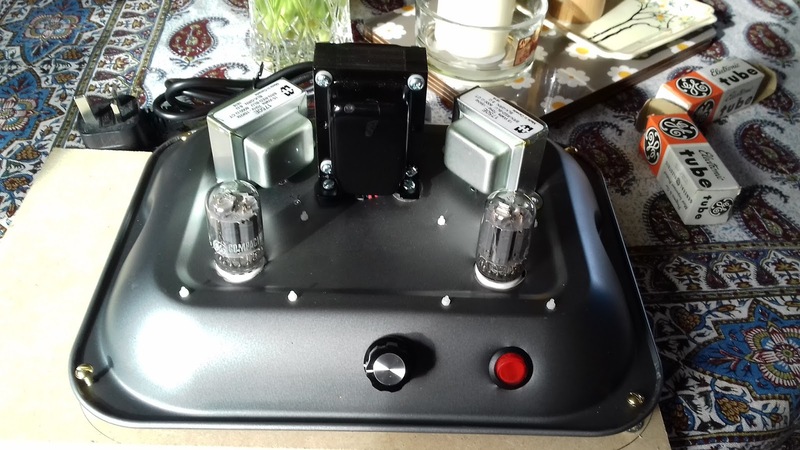 DIY Audio Projects Forum :: The Oven Dish 6T9 Tube Amplifier. The Oven Dish 6T9 Tube Amplifier. Post subject: The Oven Dish 6T9 Tube Amplifier. Just thought I should let you see the 6T9 Tube Oven Dish Amplifier that I have completed. Post subject: Re: The Oven Dish 6T9 Tube Amplifier. Welcome to the forum and thanks for sharing your work. How do you like the amplifier? I currently have it in my bedroom and yes the sound is very good, good detail and clarity, nice separation. Proud to show it off to friends, who like it a lot and are quite amazed. My next amp project will be a Decware KIT2 Zen Triode Stereo amplifier kit. I've just had a new base made by a friend of mine. from cherry wood and an very pleased with it. Cant wait to power up and see what it sounds like. Please see updated 6T9 site above. Thanks everyone. I have to say your OPTs are better looking then my open framers. My brother has had my 6T9 amp for years. Loves it.